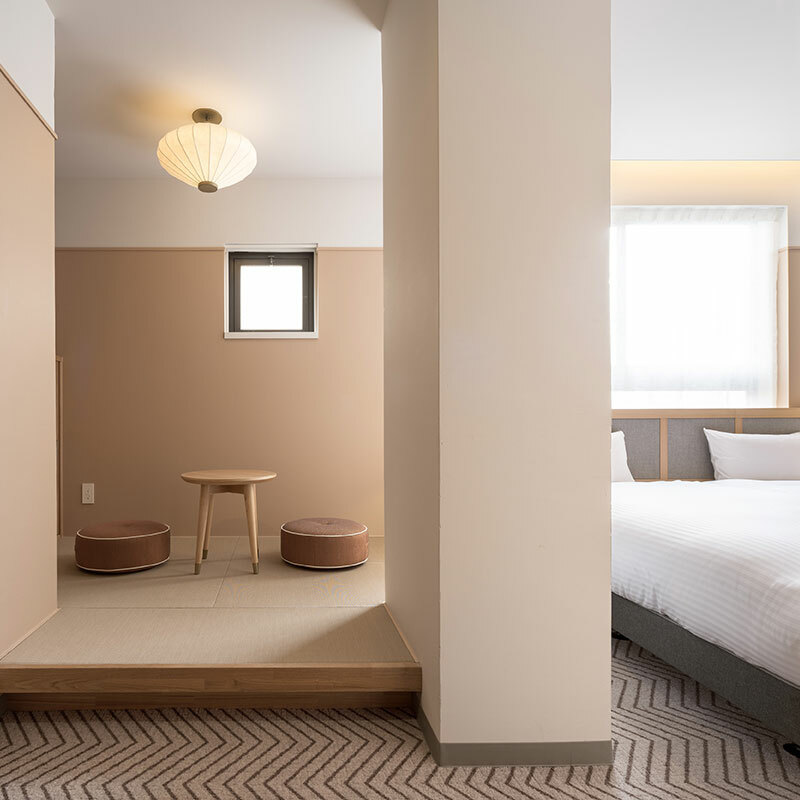 We’ve said it before: the popular image of Tokyo as the futuristic capital and Kyoto as its ultra-traditional counterpart is only true to a first approximation. 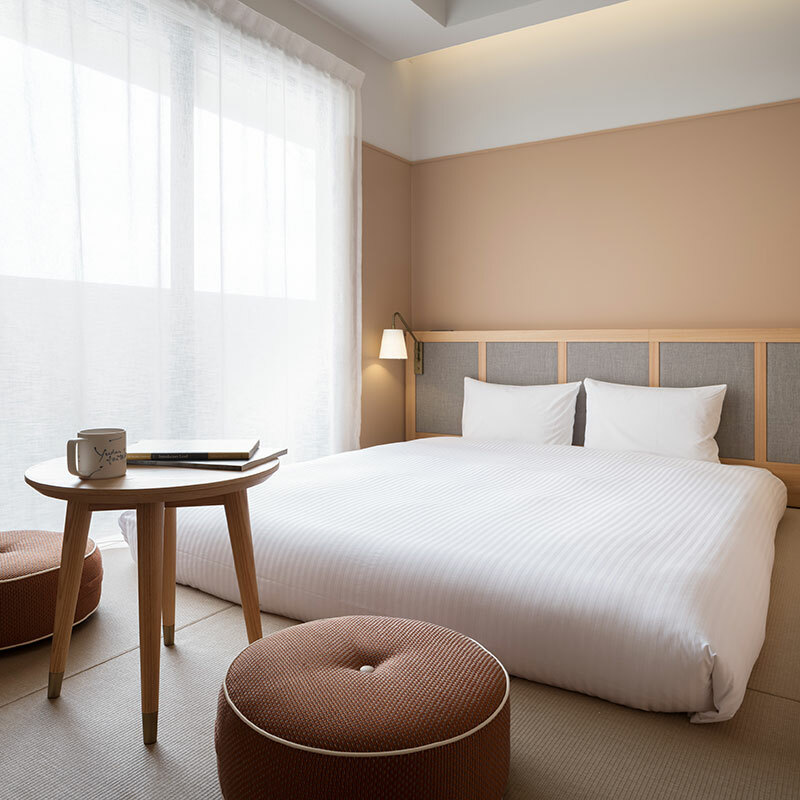 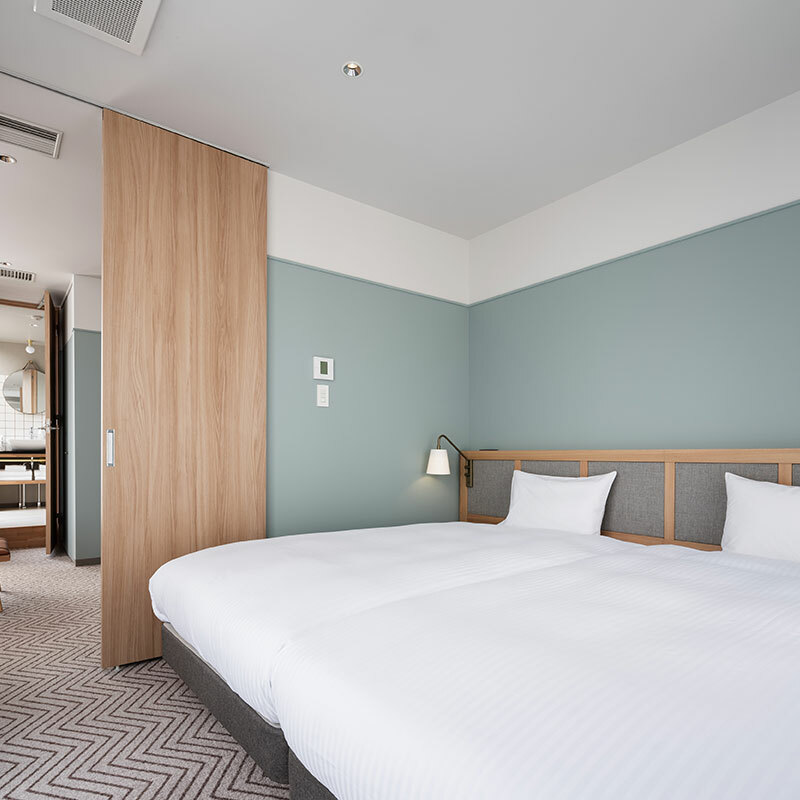 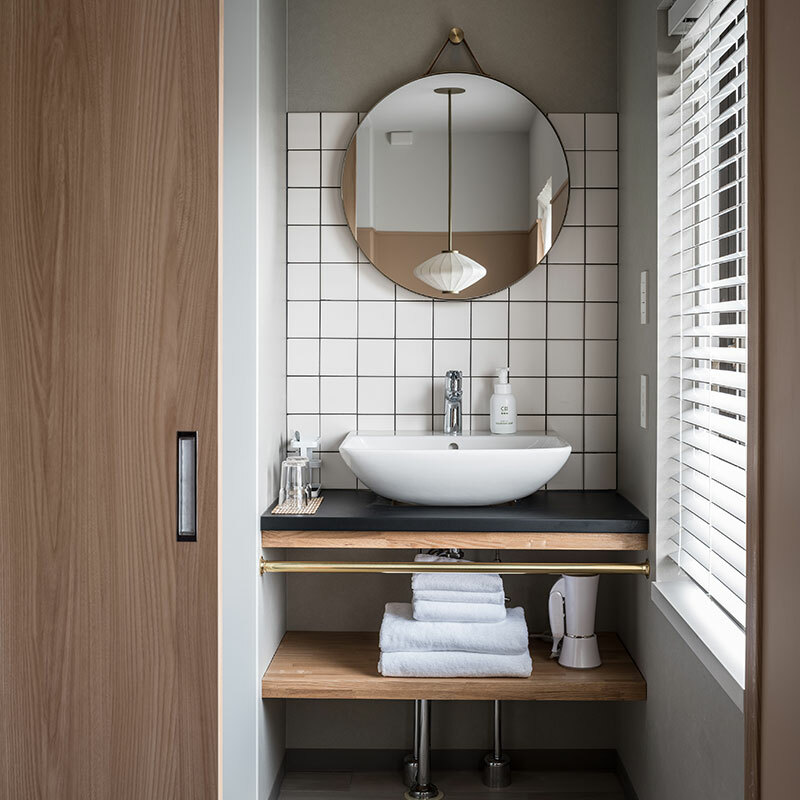 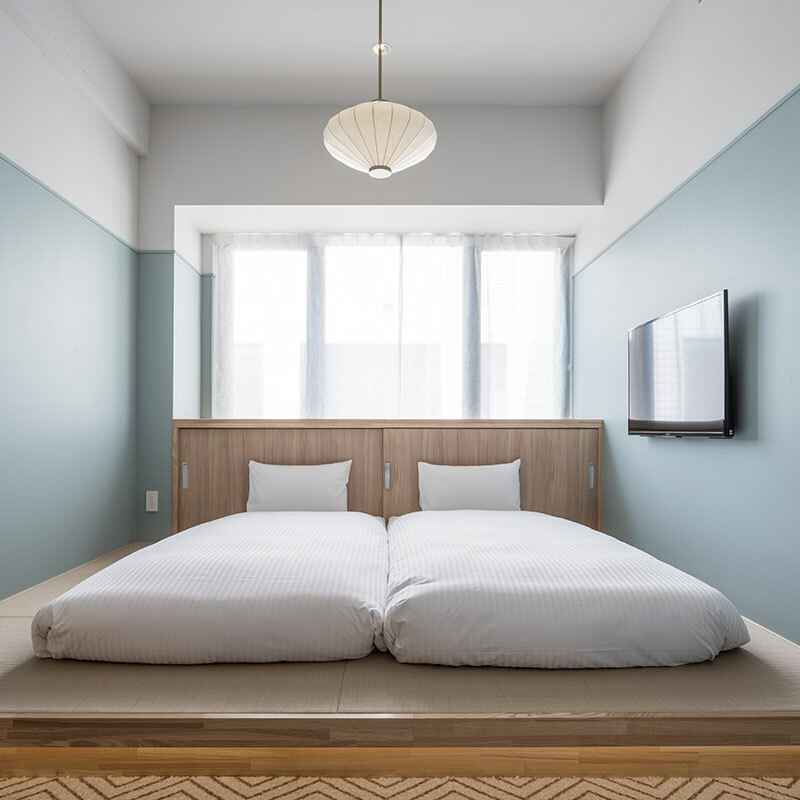 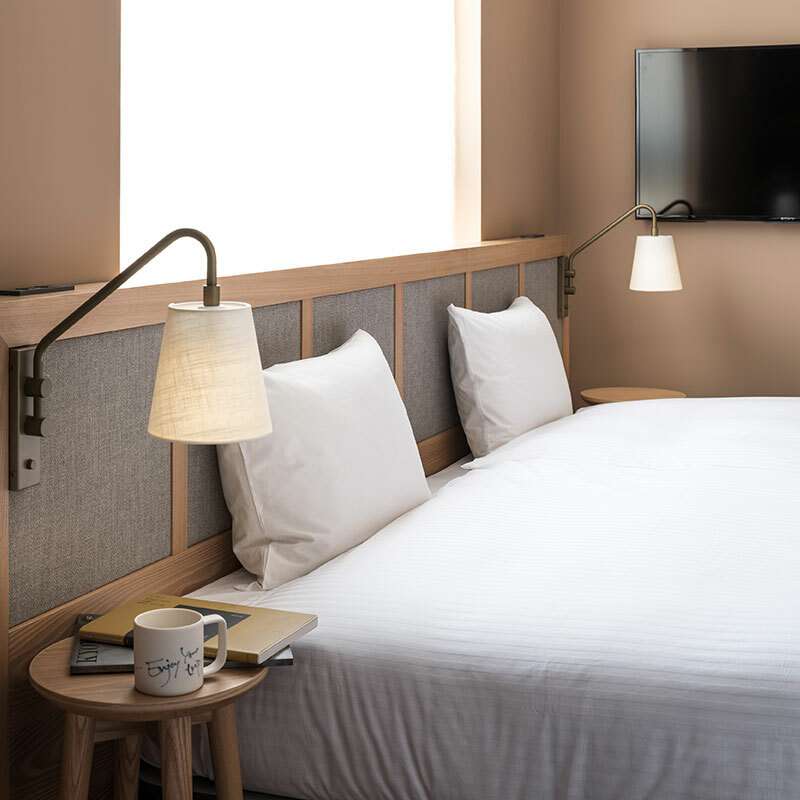 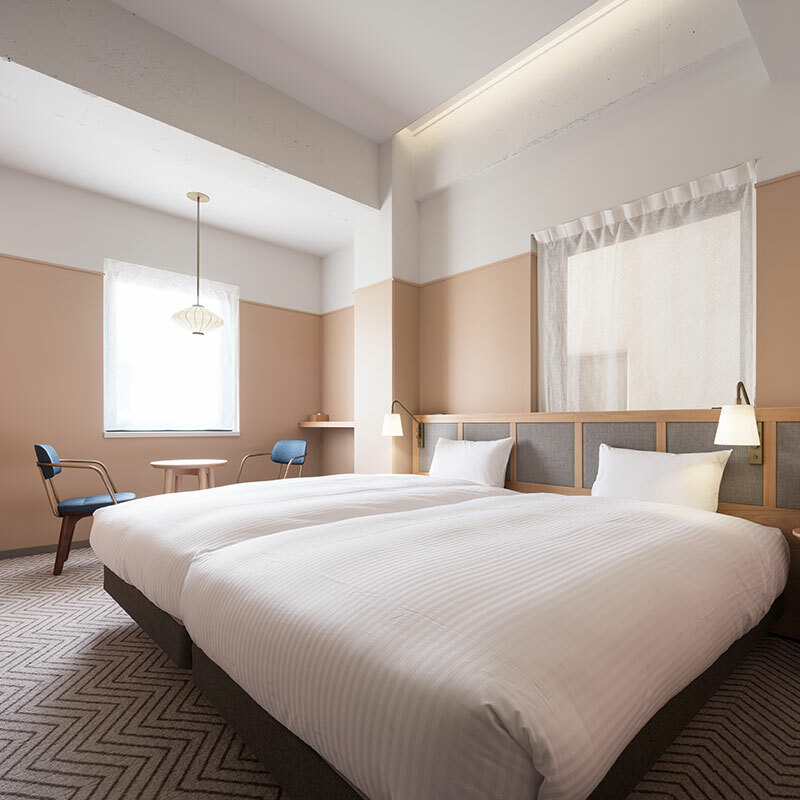 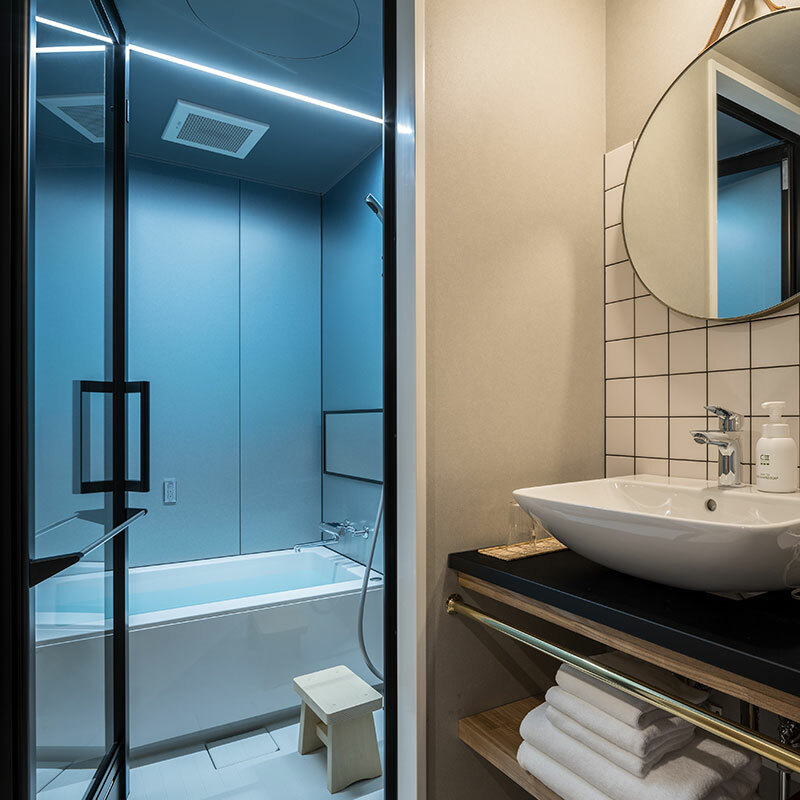 But exceptions are what Tablet hotels are made of — and a hotel like Share Hotels Rakuro Kyoto just might make it possible for you to look at Kyoto in a whole new way. 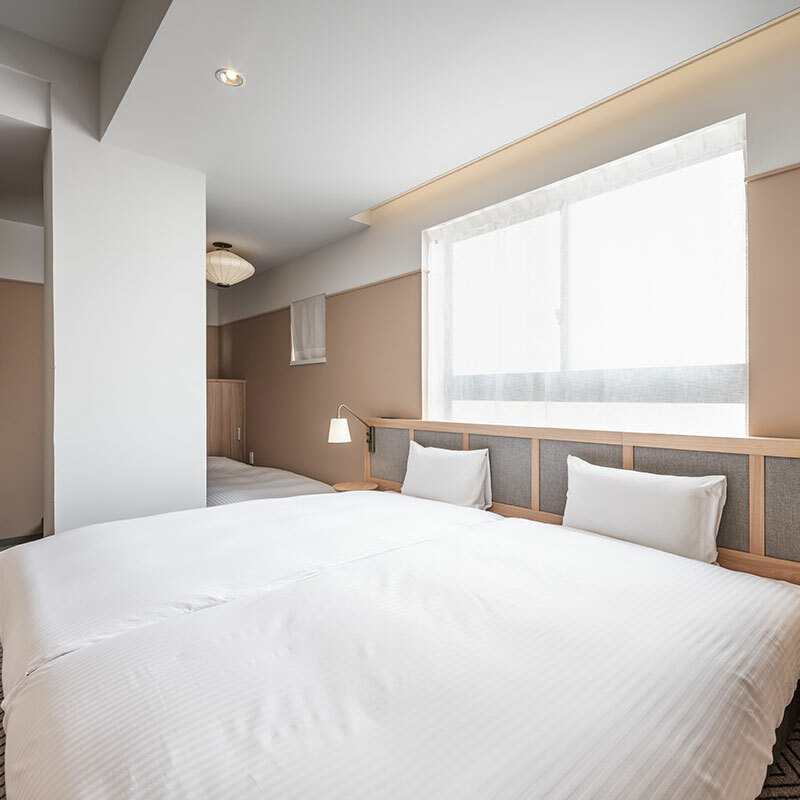 It’s a few minutes’ walk from both Imperial Palace and Nijo Castle, so you’ll get your fill of classic Kyoto history. 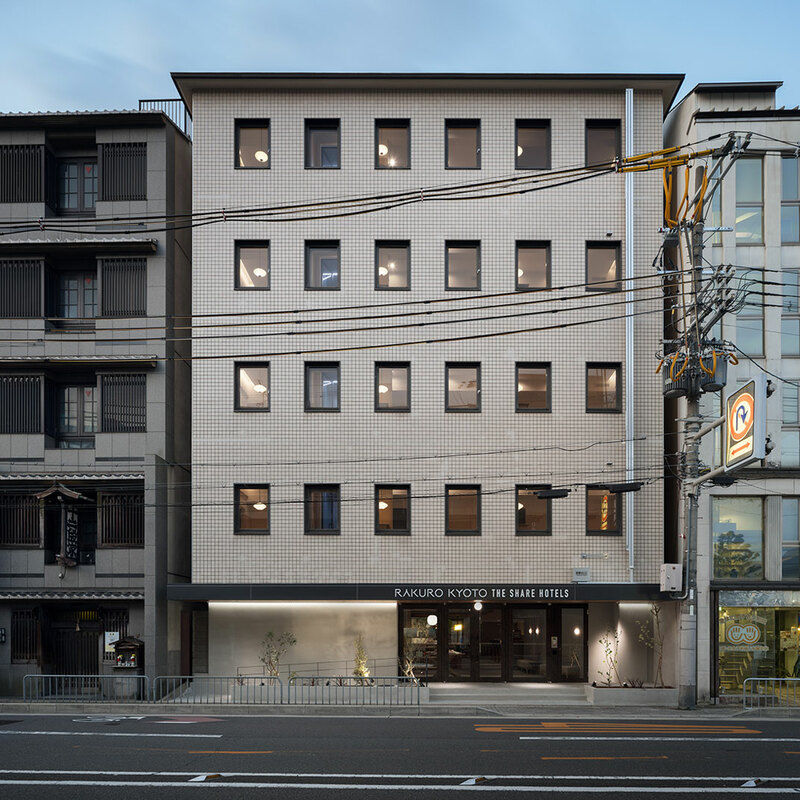 The Rakuro, by contrast, is as modern as can be, right down to the geometric facade that sets it apart from its slightly ramshackle surroundings. 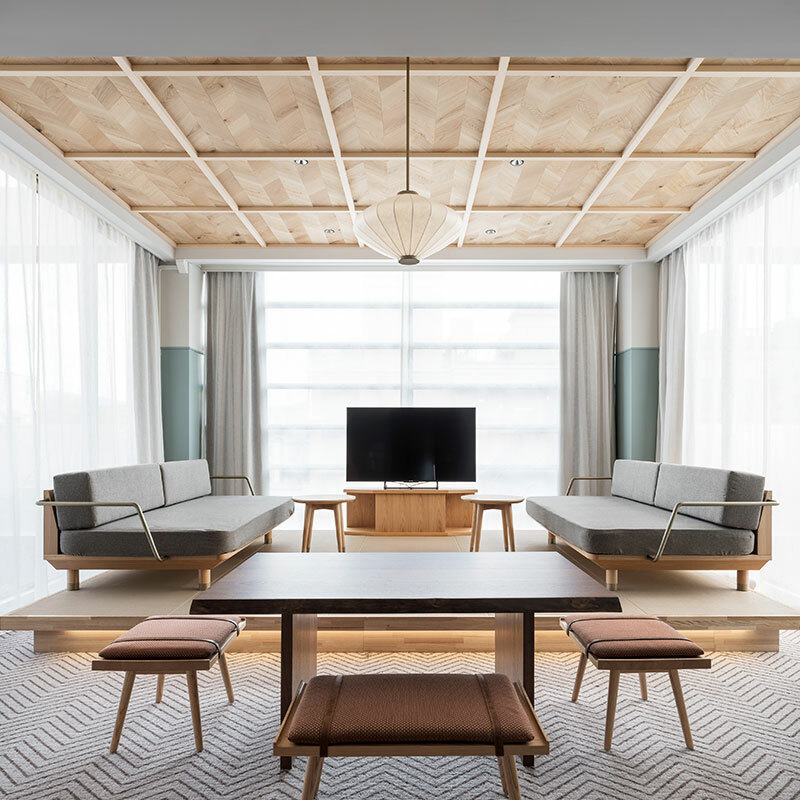 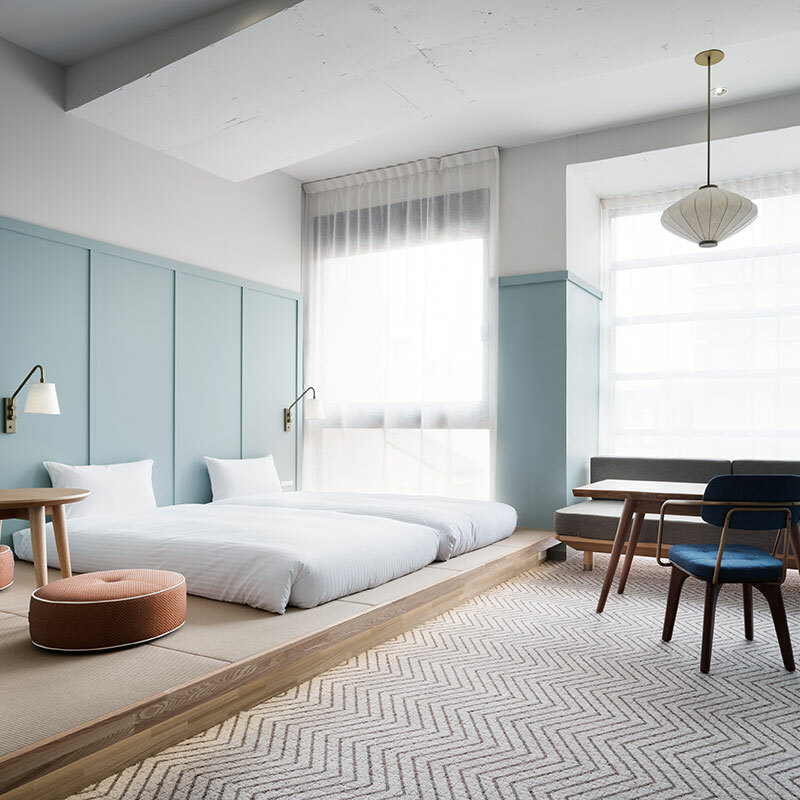 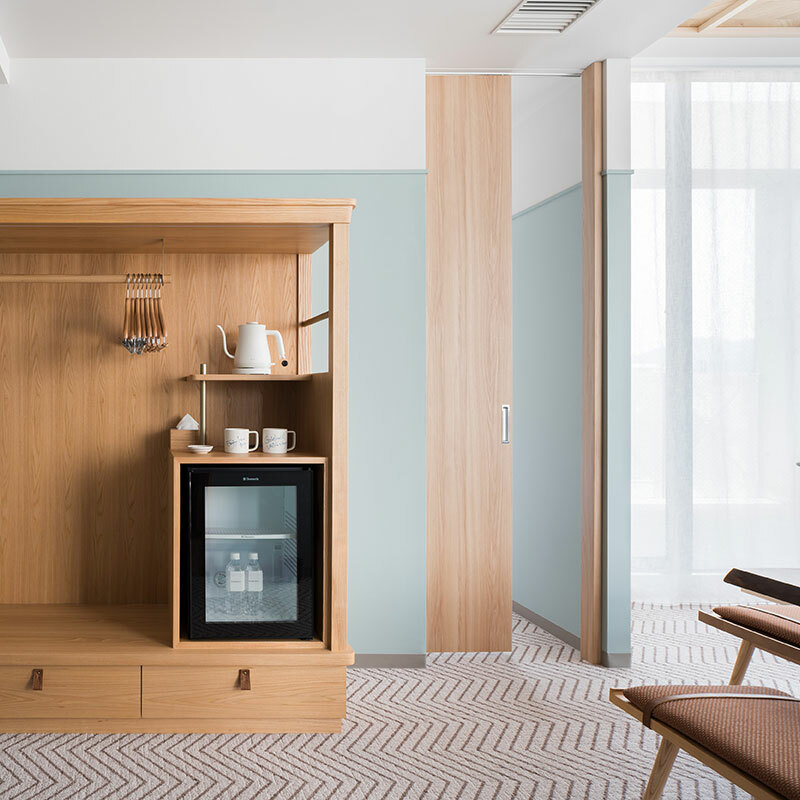 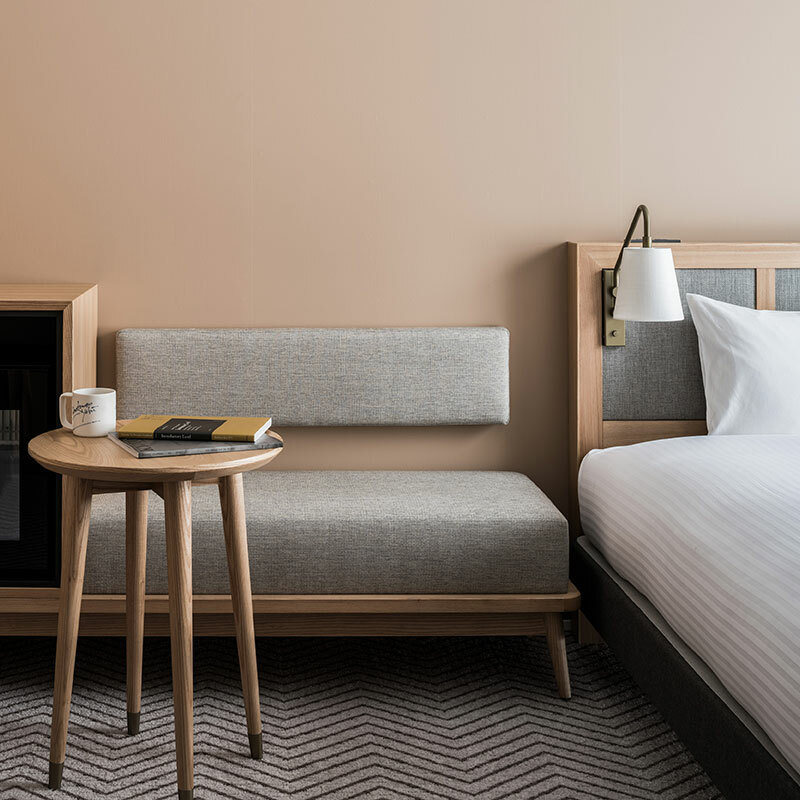 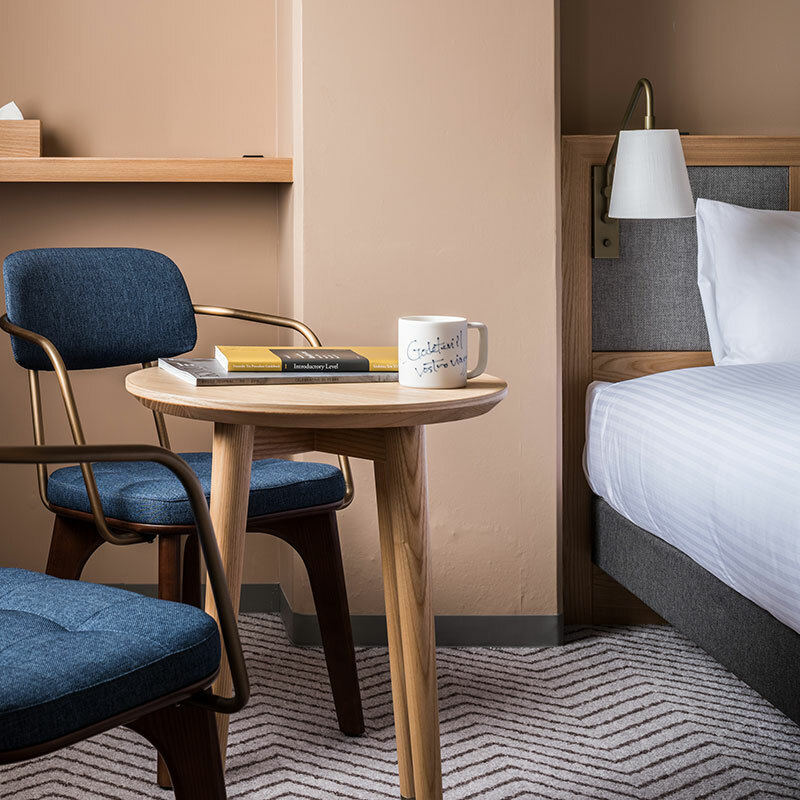 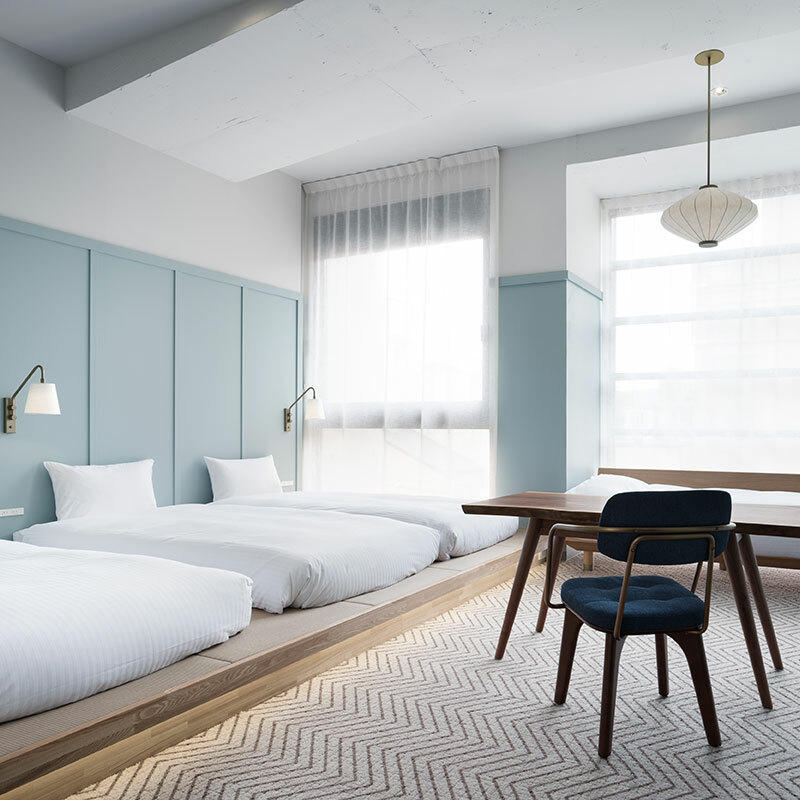 And while its rooms and suites pay tribute to tradition, with natural materials and colors and a mixture of Western, hybrid, and tatami-style spaces, they’re all interpreted through a contemporary lens, and the result is strikingly stylish. 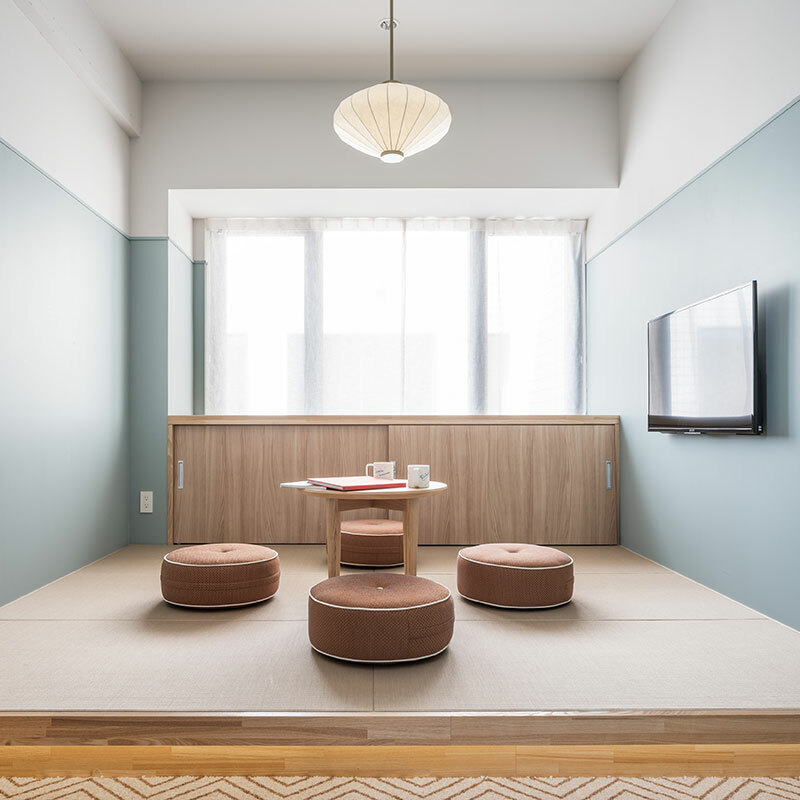 There’s a library lounge, featuring a capacious selection of books about Kyoto, and a shared kitchen where guests can prepare the food they’ve bought at tle local markets. 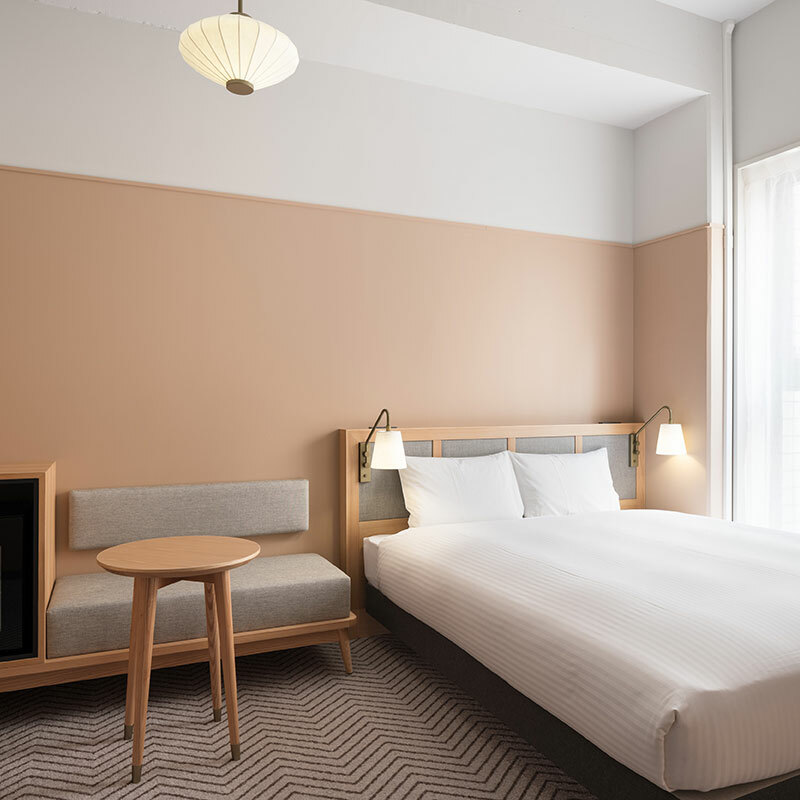 There’s a proper restaurant as well, called Tsunagu, which is open from breakfast straight through to 11:00 at night, and serves both classic Kyoto-style grilled fish with pickled vegetables and its own, rather more universal, specialty: fried chicken.